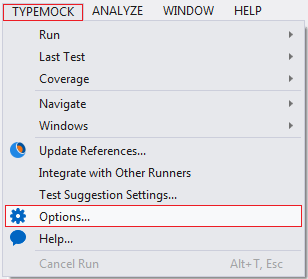 After installing Typemock Isolator and opening a solution in MS Visual Studio for the first time, you will be prompted to provide a Typemock Isolator license. 1. Go to Typemock-> Options window, in the Company field, enter the name of your company. •If you already have a license code, enter it into the License Code field and click Set License. •If you do not have a license code, click I need a license. 3. If you requested a license, provide your personal and contact information. •If you want to immediately receive a 14-day trial, click Send me a License. The license code will be sent you by email. •If you do not want to immediately receive a 14-day trial, click Not Now. Typemock Isolator will run with a 7-day trial license. After your trial license expired, you can acquire a perpetual license and provide it as described in License Installation.